The Supplemental Nutrition Assistance Program is the nation’s largest program to reduce hunger. It’s also the biggest program at the U.S. Department of Agriculture. But under the White House’s plan to reorganize the federal government, released Thursday, SNAP would have a new home at a revamped Department of Health and Human Services. The two federal agencies tasked with enforcing the nation’s food safety laws agreed this week to collaborate better, update biotechnology regulations and implement new safety inspections on produce farms. The biggest change from the agreement between the U.S. Department of Agriculture and the Food and Drug Administration, however, could come from a review of how food processing facilities currently are regulated by both departments. Experts say that could lead to less paperwork for food manufacturers and more streamlined reports of recalls and other food safety issues. 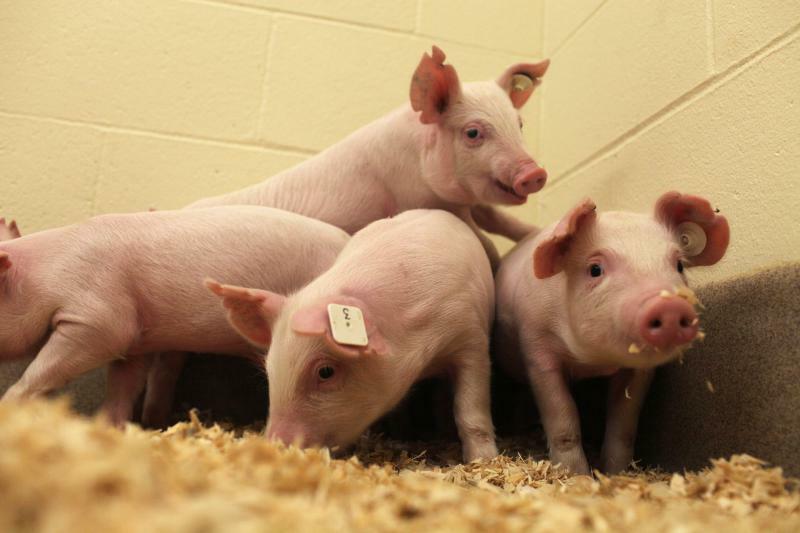 Tucked away in a University of Missouri research building, a family of pigs is kept upright and mostly happy by a handful of researchers. Two new litters recently joined the assembly of pudgy, snorting, pink piglets. While they look like an ordinary collection of pigs one might find in hog barns all over the country, these animals are special. They’re genetically engineered and they are part of a new crop of GE animals with technology that could be coming soon to the food on your dinner plate.